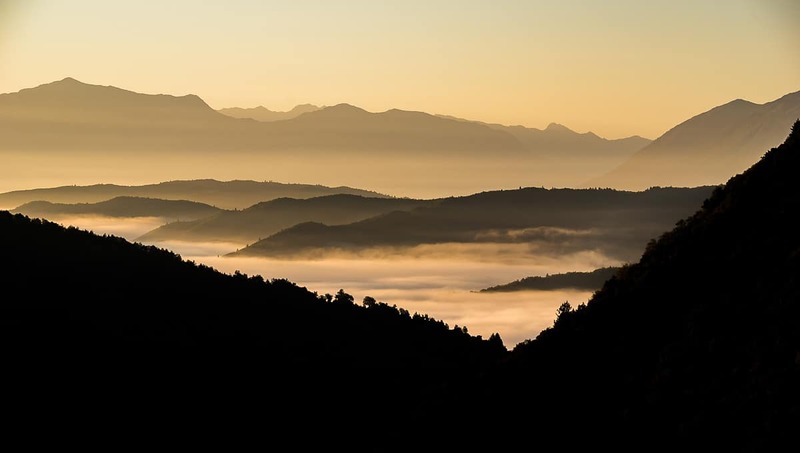 Epirus—rightfully called the “infinite country” since ancient times; Got its epithet because of its mountains which row after row dominate the land making it seem endless. 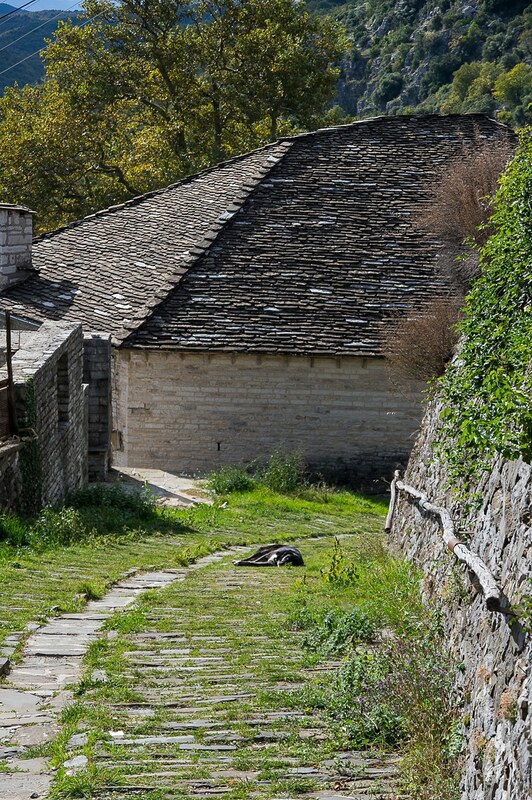 Zagori is hidden in the heart of this isolated region in northwestern Greece. 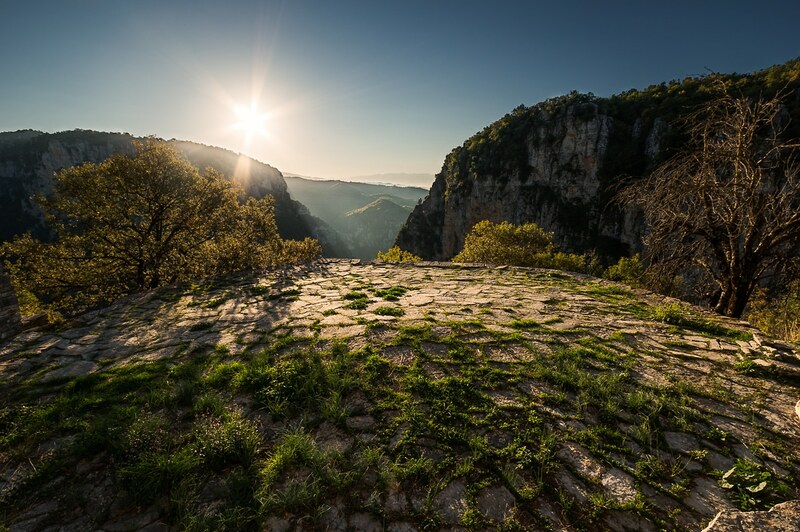 Its forty six villages, called Zagorochoria are nested between these mountains which along with gorges, forests and rivers form one of the most pristine and radiant natural areas left in Europe. 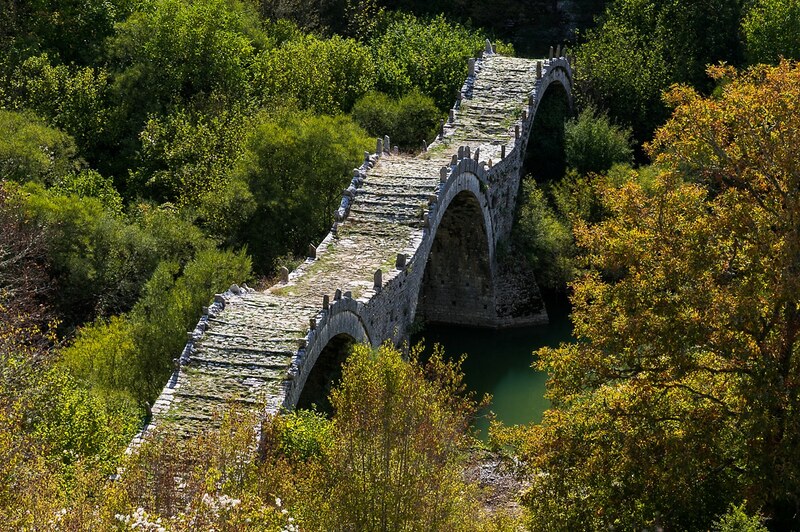 Part of the greater mountain range of Pindus which starts from south Albania and crosses the border, running the Greek mainland like a spine; Zagori provokes nostalgia like a magical kingdom in the middle of this ancient country. 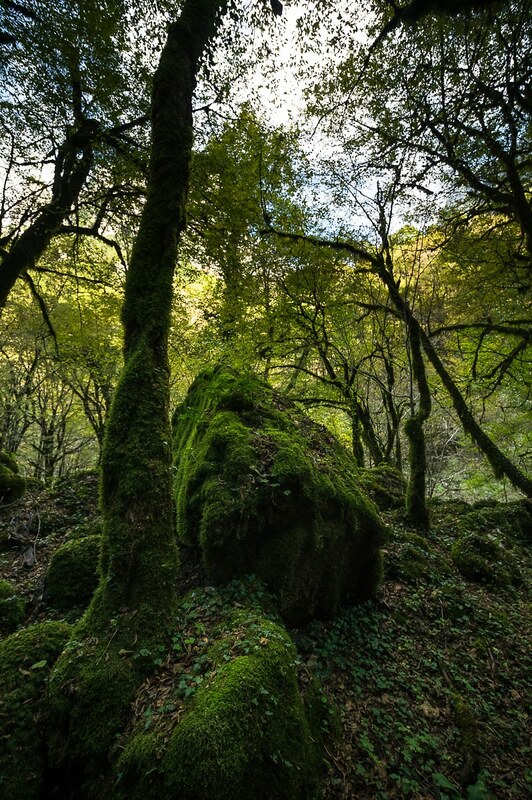 Robbers, elves, fairies and dragons used to roam the land according to the legends, something that adds to the magnetism of the place and really stir one’s imagination. The dense forests of the lowlands are supplied with fresh gargling water from the springs, streams and rivers that carry it all the way from the snow-beaten peaks of Mt. Tymfi. Ascend beyond the tree line, and the forests turn into fertile plateaus with green grasslands that feed the cattle and alpine lakes that water them. High fierce mountains with tall rocky peaks stand guard, allowing only for the clouds to pass through; trapping them in the elevated plains and creating a thick mist that covers the pastures like cotton. Sarakatsani—a nomadic tribe of herdsmen, used to shepherd their flocks up those highlands in the spring and spend the whole summer, until time came once more to guide them back to the lowlands before the first snow. Some of the shacks they have built, still stand and are used by modern shepherds who still bring cattle up there. 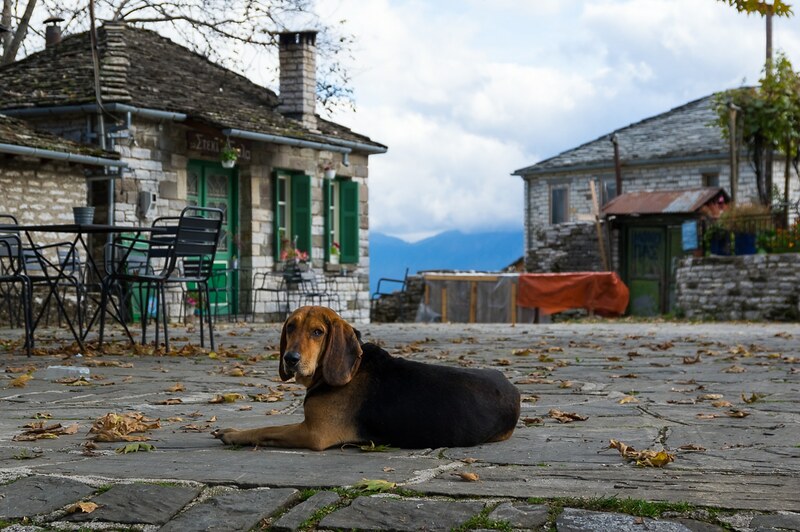 Except livestock, Zagori hosts an extended variety of wildlife. Brown bears, wolves, wild cats and lynxes inhabit the area. They rarely come across people since they live isolated, and most of the times stay away from villages. The isolated location played a significant role during the Turkish occupation. When Sinan Pasha entered Giannena (capital of Epirus) in 1430 a group of delegates from west Zagori descended to the city and signed a treaty with him which ensured that Zagori would remain autonomous and that Zagorisians wouldn’t pay haratsi (the tax that Turks imposed to conquered territories). Their only obligation was to send a number of men every year (they were called Voinikides) to serve as grooms in the imperial court for fifty days. It is many of those men who stayed there after their duty was over and became the first emigrants. Starting a tradition in which the Zagorisians would be merchants and suppliers in many countries from Turkey and Moldavia to Vlachia, Hungary and Austria among others. These conditions helped Zagori to flourish when the rest of Greece was sunken into darkness and poverty. The families became matriarchal in the absence of men. Schools and churches were built by local benefactors who sent home everything they made while working abroad and It was during those times that most of the stone bridges were built. Unfortunately peace wasn’t meant to last for ever. Many villages were burned by the Nazis during the second world war for hiding members of the resistance and as retaliation for battles that took place around there. Right after, the Greek civil war finished what the Nazis had started and Zagorochoria got almost deserted. Today, less than four thousand people populate Zagori, making it one of the less populated areas in Greece. Many of these villages hold no more than ten people in an ordinary day and come back to life only during summers and weekends. On the one hand, it is sad to witness the decline of this once upon powerful state. On the other it is the reason why it is relative touristically undeveloped and so well preserved. The fact that until 1974 everybody who lived in Vradeto—the highest village of Zagori, had to walk for an hour just to get to the nearest road is indicative. This places’s isolation and serenity is what makes it so rare and seductive. You can’t find this easily anymore. The villages share some very interesting characteristics. Every single one has a central square with a plane tree. This is no accident. People always started building around this specific kind of tree because of the water spring that is always present nearby. The first buildings were usually the school, a church and the kafeneion (coffee shop) which was the place that men gathered to socialize. Not far, a fountain was made for women to get water and socialize while waiting for their mud-made pots to fill up. The houses were built from stone and so were their eloquent roofs on which rows of limestone slabs were placed in a way that helped the water flow downwards without getting inside. This kind of building helped the villages to be integrated with their surroundings and stay less visible to robbers from afar. It also kept the buildings standing through the centuries with just a little bit of maintenance. Today the law doesn’t allow for any kind of alteration or destruction and the local architecture is considered a national treasure. As in every corner of Greece, food here is of paramount importance. 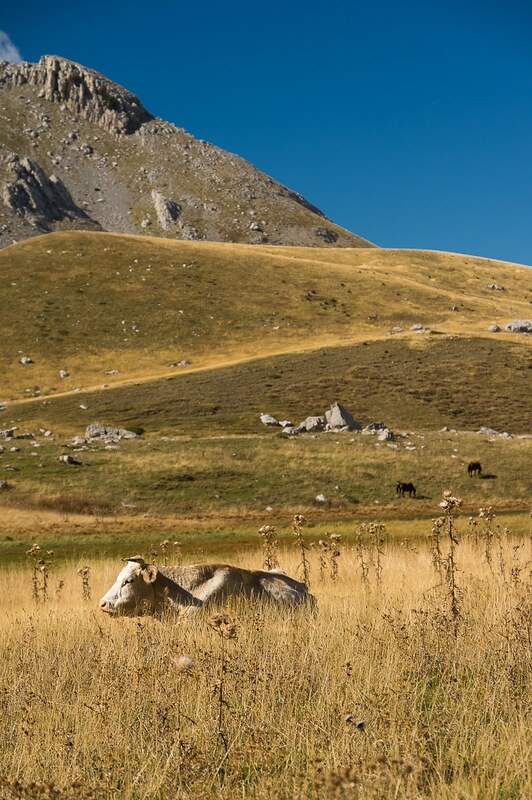 All over Zagori they produce their own dairy products which are of the highest quality and so are their local meats from cattle, goat and sheep. Pies are also a local delicacy. Usually made from corn flour; they are produced in great variety. Cheese pie, mushroom pie, chicken pie and blatsaria (a crispy pie made of local greens) are just a few of them.Mushrooms and truffles are also plentiful in the forests and widely used. From fruits, very common is the use of crana (cornus mas/berry) which they use to make delicious home-made marmalade and liqueur. Zagori was in my sights for a long time. It was calling me through photographs and people who had been there and ineffectively tried to describe it, but couldn’t and settled by describing their awe instead. Its spell was on them. We decided to go in the middle of autumn so that the weather wouldn’t be hot, something we dislike while hiking. At the same time, we risked rainy weather which I don’t mind while hiking but I do mind while shooting. Searching around the internet I could see that there were many options for trails and routes but not specific information about them. Backpacking the whole trip was tempting but the fact that there are not many markets, or any bakeries working on a daily basis meant a heavy pack that I wasn’t very eager to carry for a week and a distance of almost a hundred kilometers. Veronika wasn’t thrilled either since after this trip she would go straight back to work. I made a plan for a village to village trek but I wasn’t sure that it was realistic. It looked good on map but I still had my doubts. 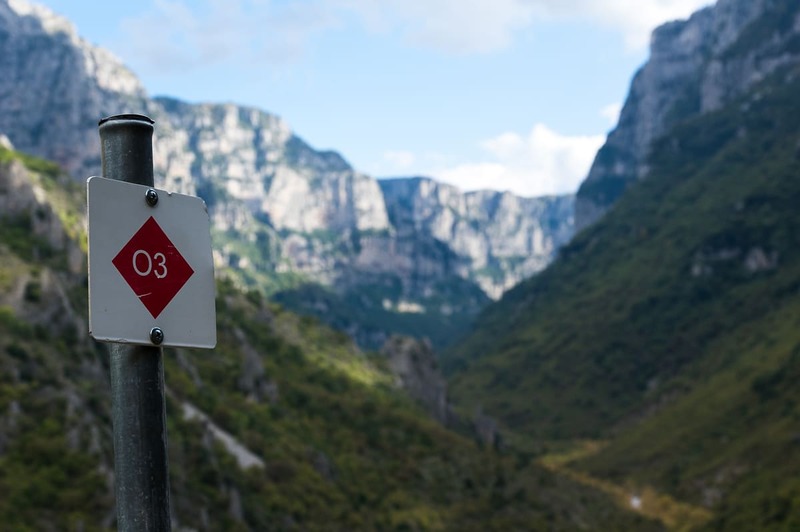 The biggest issue was that we wanted to see as much of Zagori as possible. In order to do that we would have to cross Mt. Tymfi. Most people climb there from Mikro Papingo village all the way to Dragon Lake, spent the night at the refuge of Astraka and come down from the same way. But that was leaving us with the problem of what to do next. There is no regular bus or any other means of transportation. How would we carry on? The other option and what I would really like to do, was to cross the whole mountain range moving south and descend from the other side at Tsepelovo or Vitsa. That would be a two day hike and the info that I could find about it was minimum. 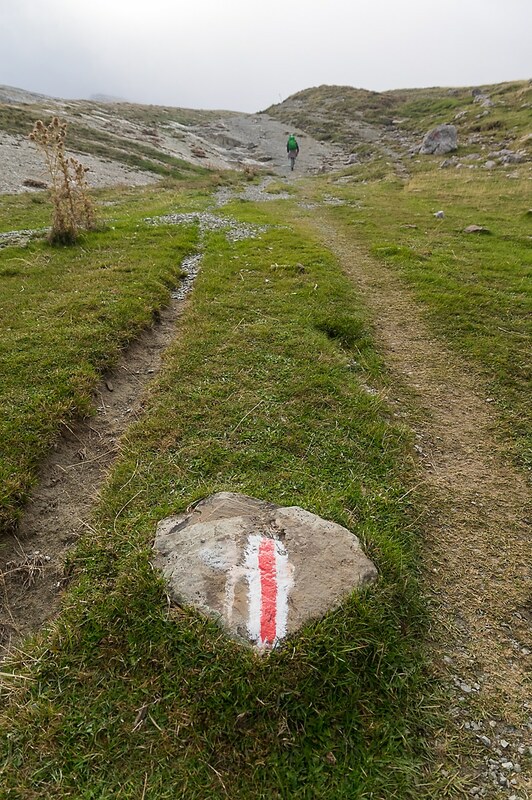 In Greece trail signs are not systematically placed and maintained. Eventually we decided to try something for the first time. Seek support from a local guide. And by that I don’t mean a guided tour. 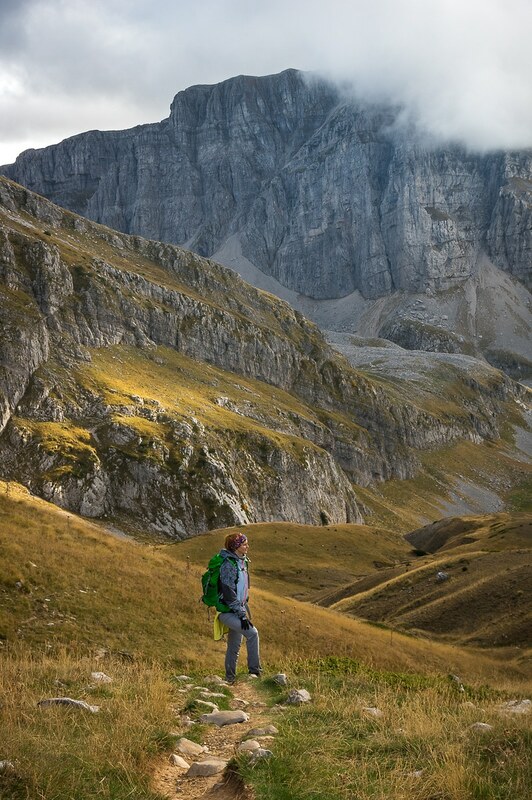 We prefer to hike alone, plus we wanted to keep costs down. After a small research I located a local company which was offering unguided tours. They would arrange all accommodation, move our luggage from one place to another while we hiked and provide food supplies for the trails. This way we would be able to see as much of the place as possible and hike relative comfortably. Another benefit was that in case of bad weather the company would reroute us so that we wouldn’t lose a day sitting like ducks. 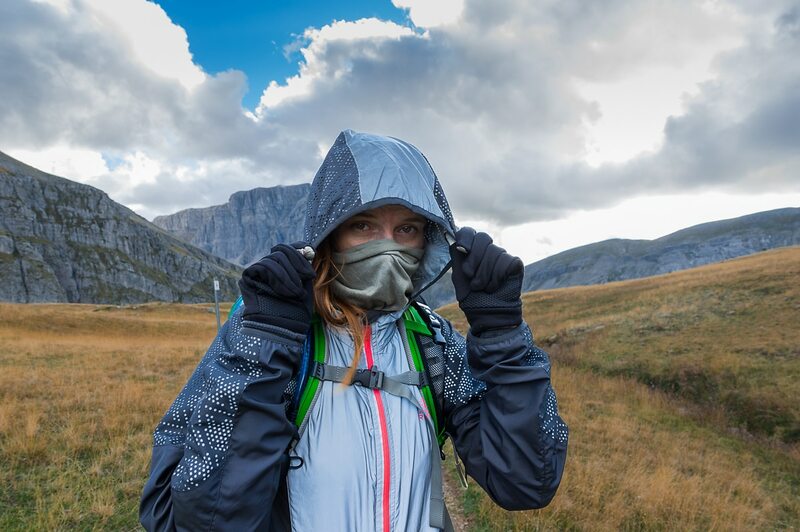 There are trails that become very dangerous with bad weather, like Vikos gorge because of rocks collapsing under raining, or Astraka to Tsepelovo when the mist drops visibility to few meters and the possibility of getting lost is substantial. After a few phone calls and some texts, Nikos (owner of Hikes4all) made a custom made schedule for us, which was exactly what we wanted, while keeping the cost within a very reasonable margin. Eventually everything went as planned. There are some rare occasions when expectations actually meet reality. Our trip to Zagori was one of these. It proved to be the best trip we had so far. It was a week that we managed to leave behind every worry of our everyday lives and just be absorbed by the present. Just us, nature and a few locals who fight every day to preserve their way of life and live in harmony with their surroundings. In the following articles, I tried to picture my experiences as true as possible and show the spirit of this amazing land and its people. Great storytelling, this place looks incredible! Wow this is amazing ! To be honest I never even heard about Zagori! When i hear grecce is always Athens, Crete, Rhodes or Santorini! And there is so much more to explore in that beautiful country! 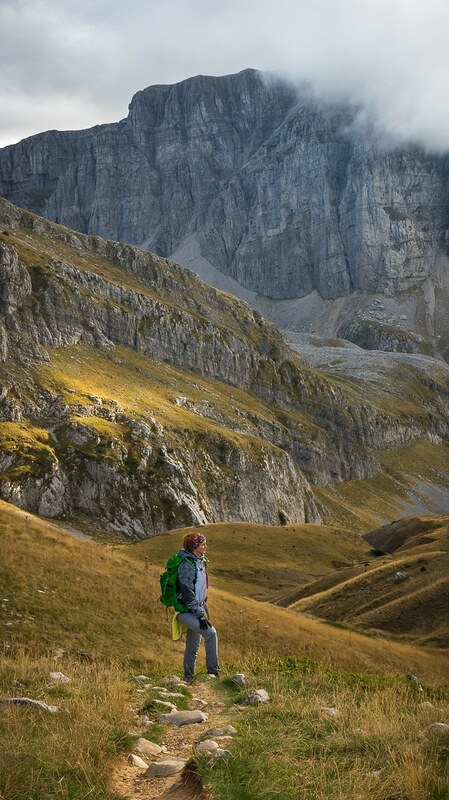 Hiking in Zagori sounds amazing!! I am adding it to my travel list! Thank you for sharing such a wonderful photos as well ! Thank you! I really appreciate the time you spent to read my stories. WOW, the stone-built bridges and those houses with the limestone roofs – I could live at such places for life! Looks so secluded and gorgeous! 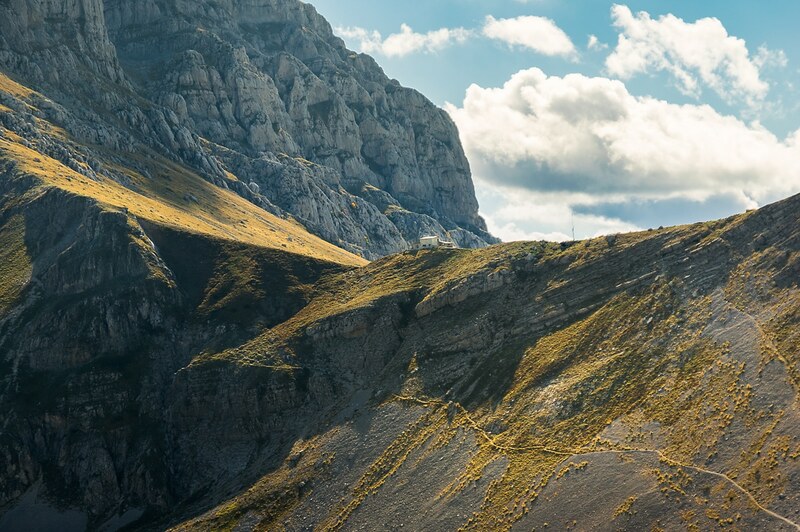 I would love to go hiking in Zagori! Go ahead. It’s really worth it. I needed to take a deep breath after I have read your articles and have seen your photos. I’ve never heard of Zagori to be honest, but I can say that it looks unreal. You did an amazing job! Thank you! Yes, its a pity that most people don’t know about it. From the other side it is great to discover relative unknown destinations. Your photos are stunning and your story telling is captivating! The stories about building the stone bridge, around the tree and the rooftops were really intriguing. I had no idea Greece had somewhere that looked like this. Whenever I thought about Greece, I only envisioned the white house with blue roofs in Santorini. Thank you for sharing the other side of Greece! Thank you! Yes, there is a whole “other” Greece and it is magnificent. Zagori is the most beautiful place in the whole country if you ask me. Thank you! Yeah, about Christmas I wish, but I don’t see it happening this year. The festivals are great, I would like to go to them once but truth is that I love the place’s isolation. I thing it is the quality that makes Zagori stand out from anything else and any other destinations. It can be very hard on the people who stay there though. Wow, I am blown away by the scenery! Also, you did a great job of detailing your experience here. I’m sold. I went to Greece a couple of summers ago but did not get a chance to venture north. I think I need a return visit now to the infinite country :-). Thank you! It is a rare place. Definitely worth a visit. You’ll love the prices too! This place is so beautiful! The food sounds so delicious especially considering they produce their own dairy products. I love that the houses are preserved, keeping together the history of the area. This place is incredible! First time I hear about Zagori. I am adding it to my bucket list. I love hiking and this seems like a dream 🙂 So glad I’ve stumped on it. Hey Chris, to be honest, I never realized this kind of scenery or landscapes existed in Greece! 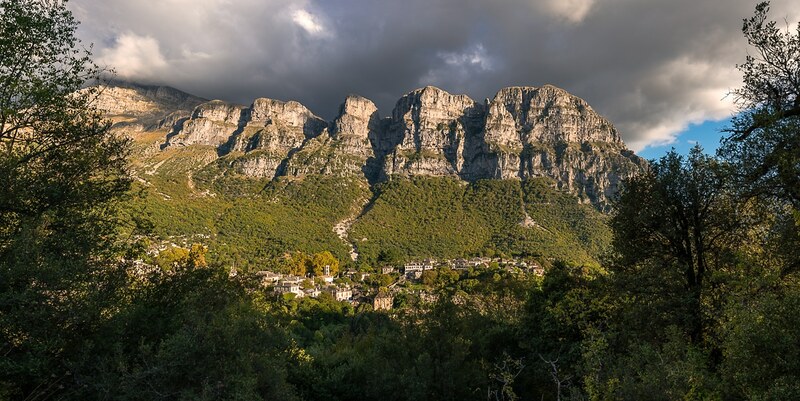 In fact, I’m a big hiking enthusiast and this looks like the absolute perfect place to go exploring off the beaten path. Also, I know you talk about the amazing food but even the stories of tribesmen and the old/primitive sight of Zagori makes me want to set foot in this part of the world. I guess that’s the beauty of travel, huh, you never know what you might find, no matter where you go! Yes, Greece is a very diverse place but everything is overshadowed by the islands and coastal areas. There are literally hundreds of places deserving much more attention than they are given. 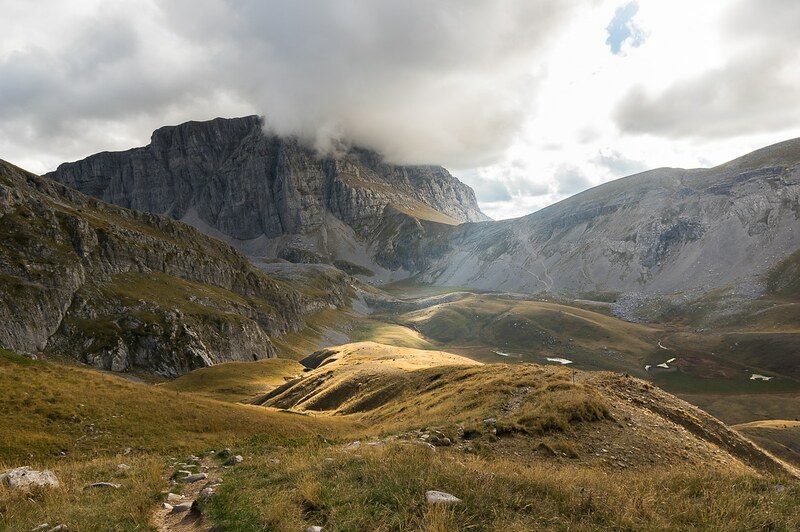 I’m considering weather to bring my kids (age 10 and 13) along for maybe a 3-5 day hike – they managed Samaria gorge with flying colors last summer, and we will try out plitvice lakes+vidova gora this may: do you think it sounds as if it is doable and preferably enjoyable for kids to cover some of the distansens tou’ve described above? Thank you! It is an unbelievable place indeed. One the most majestic places in the world. If you’re looking for adventure, then it’s definitely the place to be.